[from Last FMHabib] (Habib Mohebian - Persian : حبیب ) is a persian singer-songwriter, first became seriously passionate about music and playing guitar in the last years of high school. He participated in a nationwide competition held by the Iranian Radio and Television Broadcasting and was chosen as one of the 16 short listed candidates. After two years of training, he was drafted and continued his music career in the Officers Clubs and nationwide performances. Habib then settled in the provinces of Western and Eastern Azerbaijan and eventually Tehran. He is now living in the US. Habib has many hit songs such as “Marde Tanhaye Shab”, “Shahla”, and “Madar”. The song “Shahla” was inspired after listening to an Azari performer. However, there is a common misconception that Shahla has been inspired by Habib’s ex-wife (the name of his ex-wife is Shaadi and not Shahla). In 2003, Habib took stage along with his son, Mohamad. While remaining loyal to his principles, Habib showed a bit more flexibility in producing music videos, going on stage, and more mainstream music to help with the career of his son. Their first common album was named Javooni with songs such as “Gheir-e-To”, “Nazaninam”, “Nameh”, a new version of the song “Madar”. 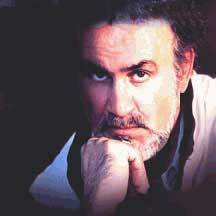 The song “Gheir-e-To” starts with a famous music piece from the film The Message (shown frequently in Iran) that is mixed with Habib’s own romantic Persian song.